The University of Pretoria regards itself as a research intensive university. Hence, it is seeking candidates for doctoral studies who will make significant contributions to its research endeavours. As part of an initiative by the Association of Commonwealth Universities, the University of Pretoria has made funds available for two doctoral scholarships for students coming from Commonwealth Countries (excluding South African students). This scholarship will be known as the University of Pretoria Commonwealth Doctoral Scholarship and will be awarded on a competitive basis. The University of Pretoria has established a reputation for academic excellence, particularly in relation to some of its major research activities. Information about these research activities can be obtained from the Research website of the University. • The Doctoral Scholarship will be awarded to applicants who are citizens of Commonwealth Countries. 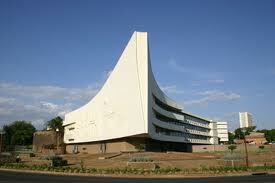 • Applicants must conduct their studies at the University of Pretoria. • Applicants must have completed the degree that will give them admission to a doctoral programme a maximum of three years prior to their application for the University of Pretoria Commonwealth Doctoral Scholarship. • Applicants must not be older than 35 years of age at time of application. • Masters students currently registered at the University of Pretoria are not eligible for the Doctoral Scholarship. • An agreement in principle from a suitable academic supervisor at the University that the candidate can work under their supervision. • Complete and sign an International Postgraduate Application Form. (This form can be obtained from the Client Service Centre, Hatfield Campus and also on the website of the University of Pretoria Official Website . o Their potential in the chosen field of doctoral studies. • Full academic transcripts of all qualifications obtained. On completion of the degree the candidate will be expected to return to his/her home country. • Academic performance of the candidate. • Potential to undertake advanced research activities. or other appropriate products of the work undertaken. • Prizes and honours received.. Selection of the candidates for these scholarships will be done by the University’s Institutional Selection Committee. The successful applicant will be informed by e-mail and official letter of acceptance. Candidates, who have not received written notification within six weeks of the closing date, must please contact the Client Service Centre. The closing date for applications for the 2012 Academic year is 10 June 2011. Demikianlah informasi tentang Applications for Commonwealth Scholarships for Doctoral studies at the University of Pretoria, semoga bermanfaat.